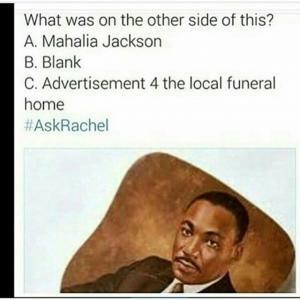 Rachel Dolezal is a white woman who was president of the spokane chapter of the NAACP and a Black Studies professor who did all of this while claiming to be a black woman. 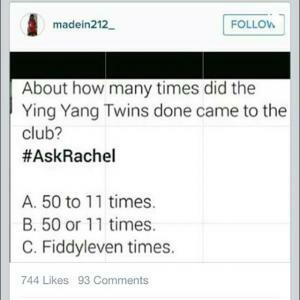 Her tanning habits and her protective hair styles helped her pull this off for some time without being questioned. 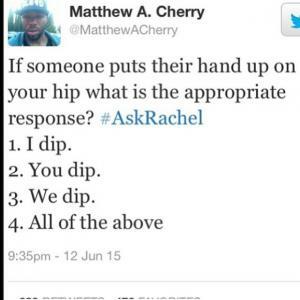 The ask rachel jokes and memes mainly consist of multiple choice questions about topics that some feel are common to the majority of black people. 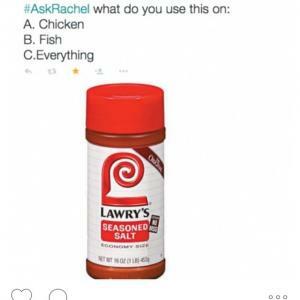 Things like what do you use to eat your cereal with is there is no more milk, how do you eat your chicken wings and what do we mean when we say the kitchen. 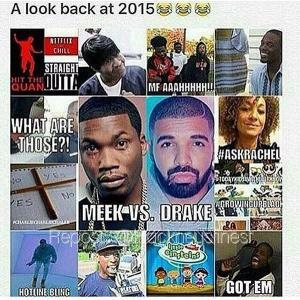 These are just a small example of the jokes and memes found in this section. 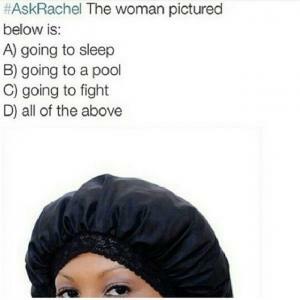 We invite you to thumbs up and share the jokes, memes and images you like the most on this page and welcome you to share them with your friends across your social media accounts. 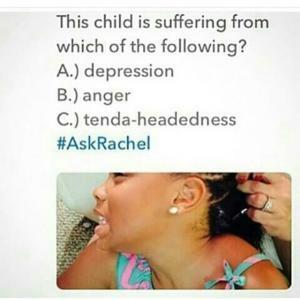 This child is suffering from which of the following? 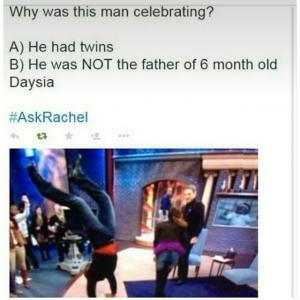 Why was this man celebrating? 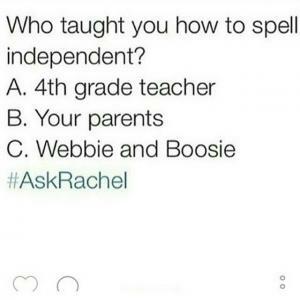 Who taught you how to spell independent? 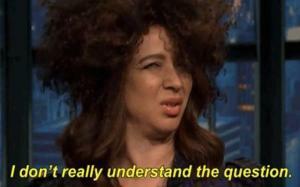 Comedienne Maya Rudolph gives an epic impression of ithe infamous 'race-faker' Rachel Dolezal. 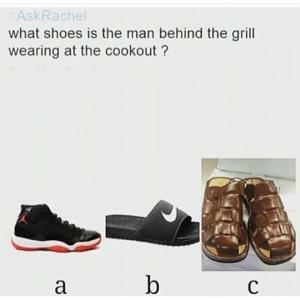 What shoes is the man behind the grill wearing at the cookout? 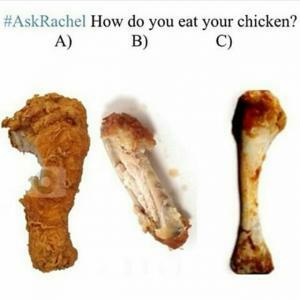 #AskRachel How do you eat your chicken? 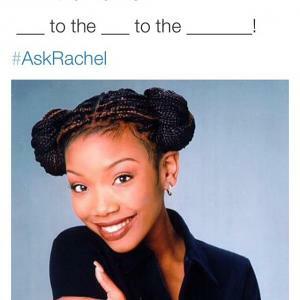 _____ to the _____ to the _______! What was on the other side of this?